Take the stress out of pressing! 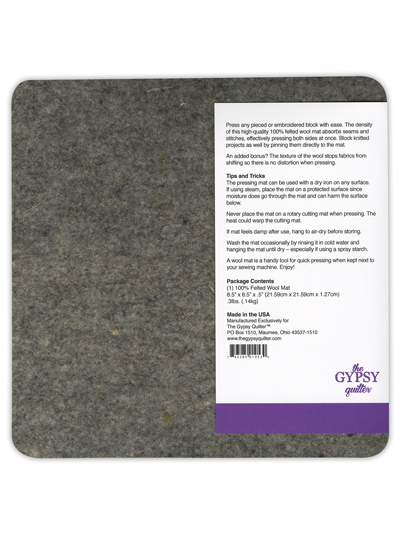 Choose One Wool Pressing Mat - 8 1/2" x 8 1/2" x 1/2" Wool Pressing Mat - 13 1/2" x 13 1/2" x 1/2"
Press any piece or embroidered block with ease. 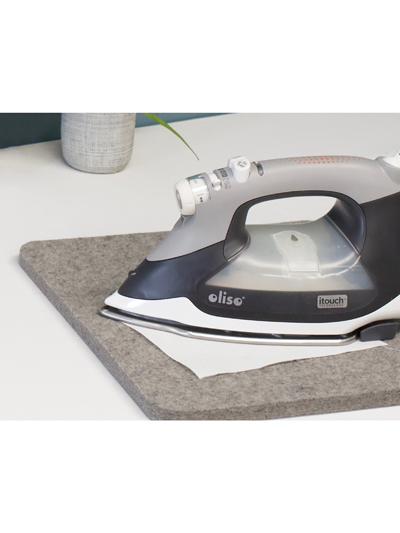 The density of this high-quality, 100% felted wool mat absorbs seams and stitches, effectively pressing both sides at once. You can even block crocheted or knitted projects by pinning them to the mat. 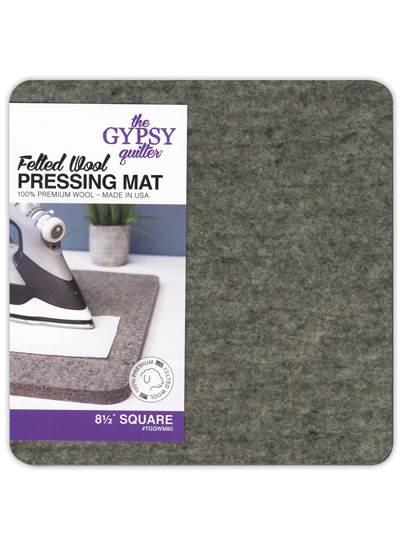 As an added bonus, the texture of the wool prevents fabrics from shifting, which means no more distorted pressing! Small mat measures 8 1/2" wide x 8 1/2" long x 1/2" thick. 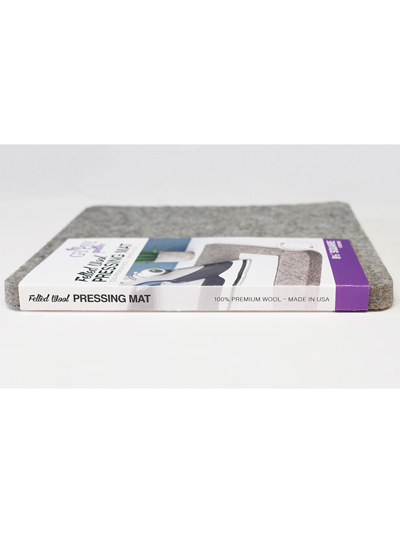 Large mat measures 13 1/2" wide x 13 1/2" long x 1/2" thick.